A few days ago, I found an image of a #prototype toilet in my inbox. I have been seeing images of #prototype toilets for many years now, and I keep waiting to know which one of these prototypes will go mainstream and scale. In fact, I even wonder, if toilet is something that really needs to be #prototyped? I even wonder, if toilet is something that really needs to be #prototyped? We, human beings have been building systems to overcome open defecation since 2,800 BC. The world's first urban sanitation systems were built during Indus Valley Civilization in India and Pakistan. The irony is that today India has the world's largest population which openly defecates. The modern toilets or water closest which most of us are familiar with has existed since the 1600s. In these 5 centuries they have reached to over 6 billion people across the world, leaving just 13% behind. In that case, why don't we simply repeat what the 87% of the world's population uses rather than invent something new. I understand certain challenges that this 13% of the population poses: which is acceptability, affordability, availability of water and sanitation system, etc. Even then, how difficult can it be to overcome them? We have enough examples of toilets in remote areas such as resorts, national parks, and even war zones. If our urban solutions, don't work, I am sure one of the remote ones would? Prototyping is generally used to advance a new idea, to learn from best practices and then test that 'new idea' in the field. Prototyping is generally used to advance a new idea, to learn from best practices and then test that 'new idea' in the field. Do these images give us the confidence that these concepts are advancing a 'new idea'? Do we think that they can solve the access to sanitation for the remaining 13% population? Do they look safe and sturdy to give privacy and dignity to its user? Does it look like these toilets can last for 2, 5 or 10 years? How many of us would want any of these #prototypes in our own homes? We should come out of this mindset, that every problem needs a new solution. We should come out of this mindset, that every problem needs a new solution. Often time we know it, but we can't help but be creative, we want to carve our own path, and do something 'new'. If the purpose it to provide sanitation to those who don't have, the focus should be on making it happen in the most efficient way. And if that way does not require a 'new' #prototype, so be it. Let us skip one step and just go ahead and build. 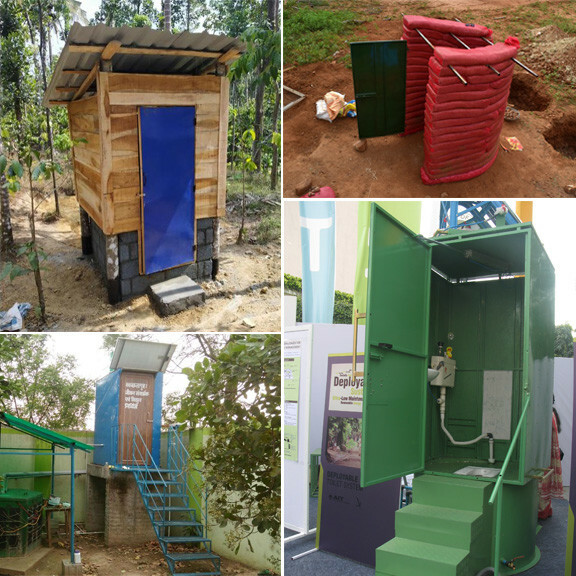 The easiest way is to ask those who need one, "do they want a #prototype or just a toilet?" Silicon Valley’s Plan B to Tackle Climate Change: Is it really taking us forward towards sustainability?